Not long ago, the girls and I were chatting. 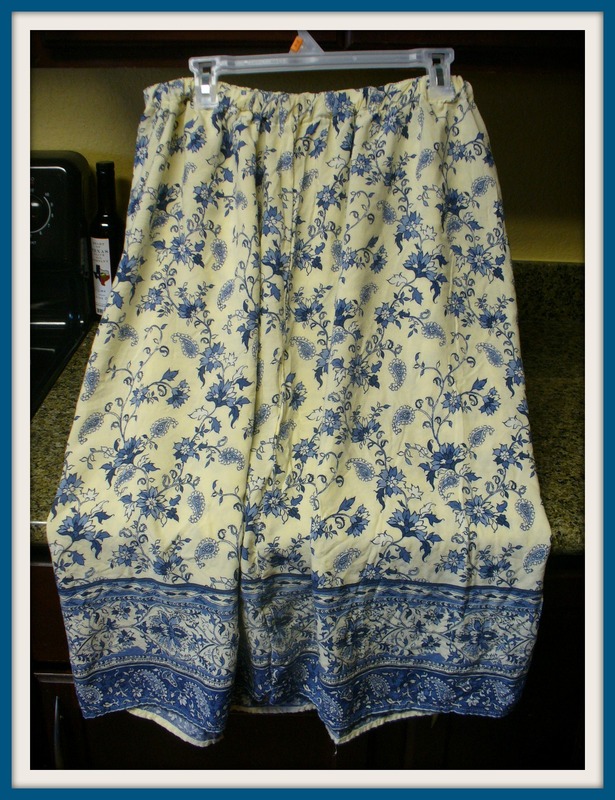 I mentioned that in the past, I had made aprons for a mission team to take with them to Honduras. E wanted to know why we would send aprons. 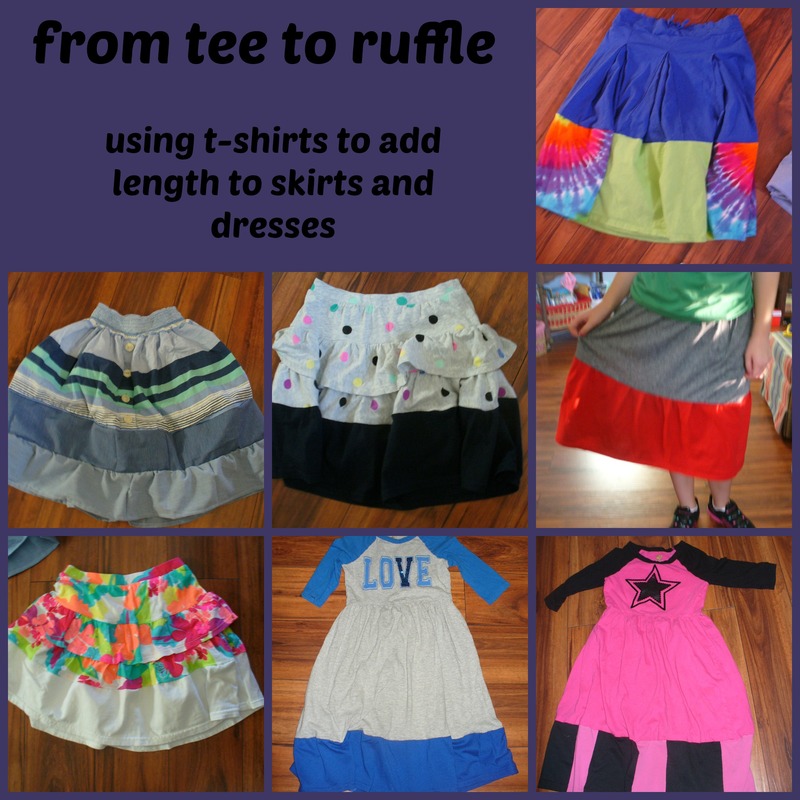 I explained that they do not have as many clothes as we do and that an apron helps to protect your clothing so it doesn’t wear out as fast, get stains, or need washing as often. 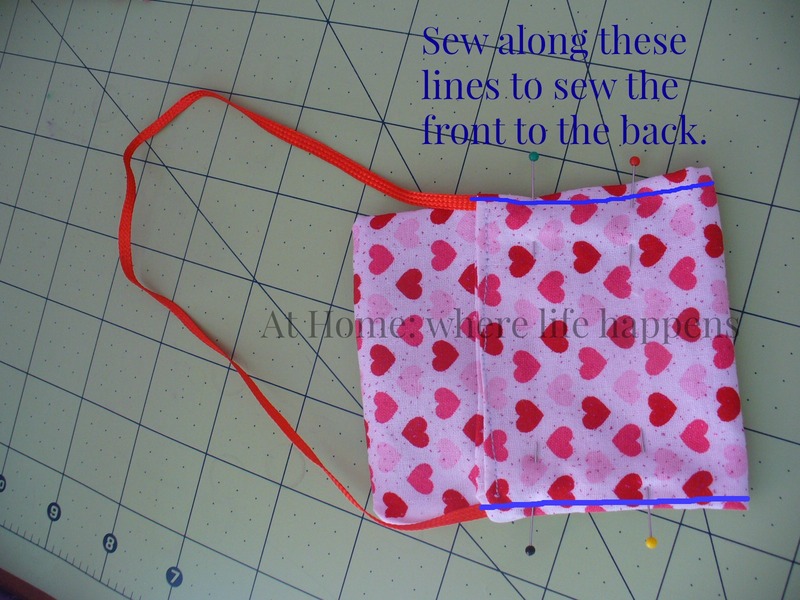 After understanding how much an apron blesses one of the ladies in Honduras, E asked if we could make aprons to send. She wanted to do for others. 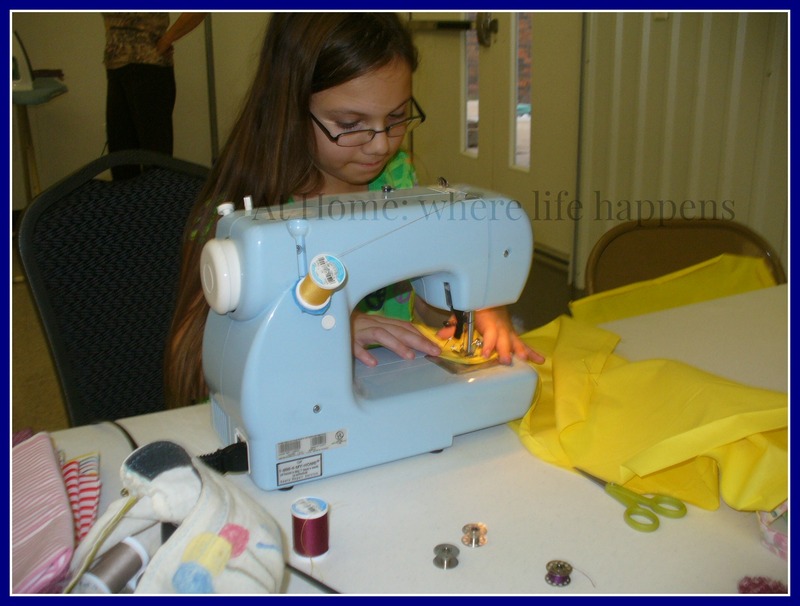 She enjoys sewing and saw an opportunity to help someone. So, we went about setting up a project. First, we made sure that the church of Christ mission team would be going and that they could take the aprons with them this time. Once we got confirmation about that, E and I set about discussion on the scope of the project. 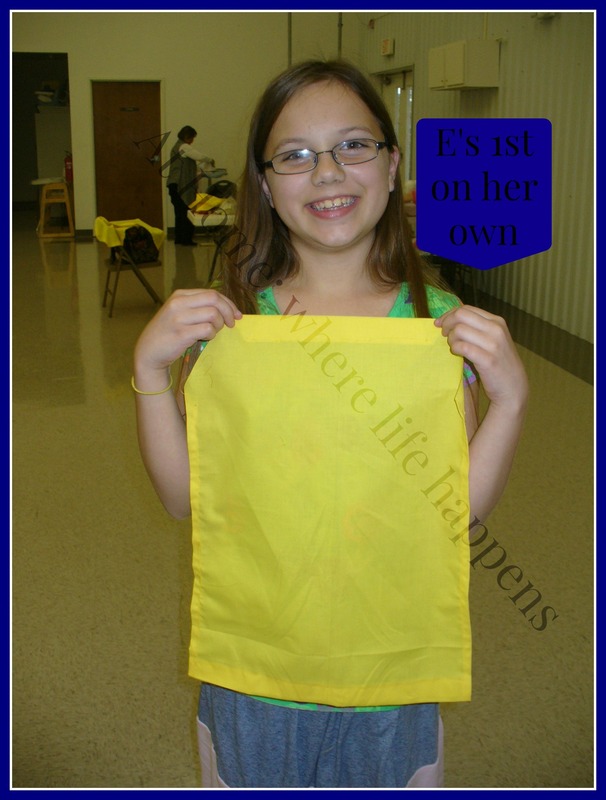 E remembers doing sewing projects at church and she wanted to include others in this. She also knew that at least one of her friends would want to participate. I checked the church calendar, worked with one of the ladies who has organized the sewing project in the past, and set it up. In order to promote the project and ask for help from others, we created an announcement for the bulletin and announcements. E also created a board that we put up on the signup table at church. Then we waited. When the day arrived, we had a pile of over 100 aprons that had been cut out and a big pile of ribbons. Each of the children who came to help paired up with someone. All of the girls paired up with an adult at a sewing machine and our lone young man that came to help paired with the adult cutting and threading ribbon. The sewing and ironing and ribbon cutting went fast and fun all afternoon. There was some lovely singing involved, too. 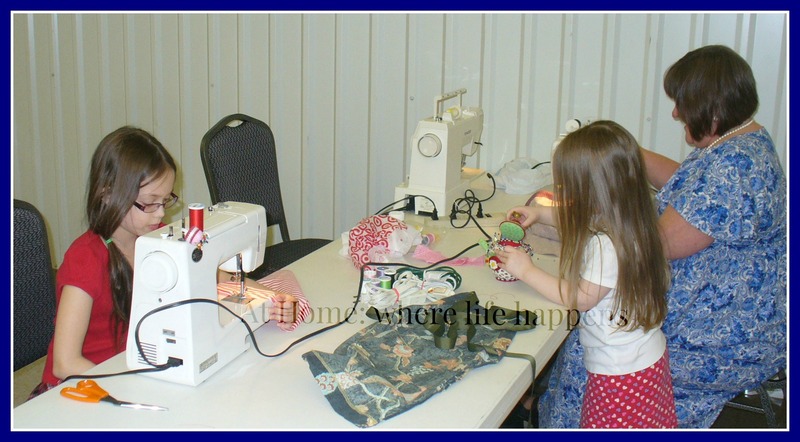 By the end of the afternoon, 3 of the 4 young ladies who came were sewing on their own (the other young lady is J – she is five and was a super good pin helper). When all was said and done, we had a completed pile of about 90 aprons. 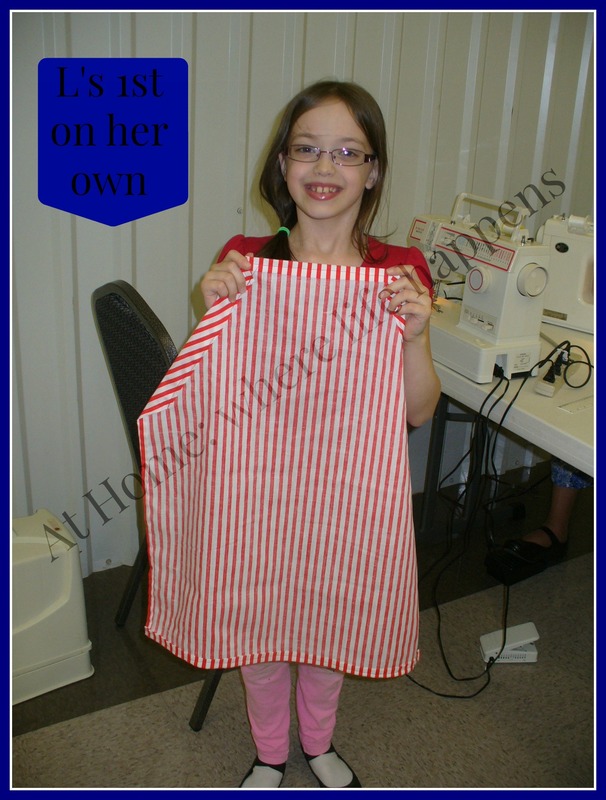 We had a bag set aside for a grandmother and her granddaughter who wanted to help with 10 aprons and we had just a few (4 or 5) that needed a last little bit completed. We now have 104 completed aprons that are ready to go to the mission team. We’ll take a trip in the next few weeks to deliver them. What a blessing to have as many material possessions as we do and the ability to use those to help others. God is good to us. At Home. Today’s Make It Work Monday is a short one. A single skirt. 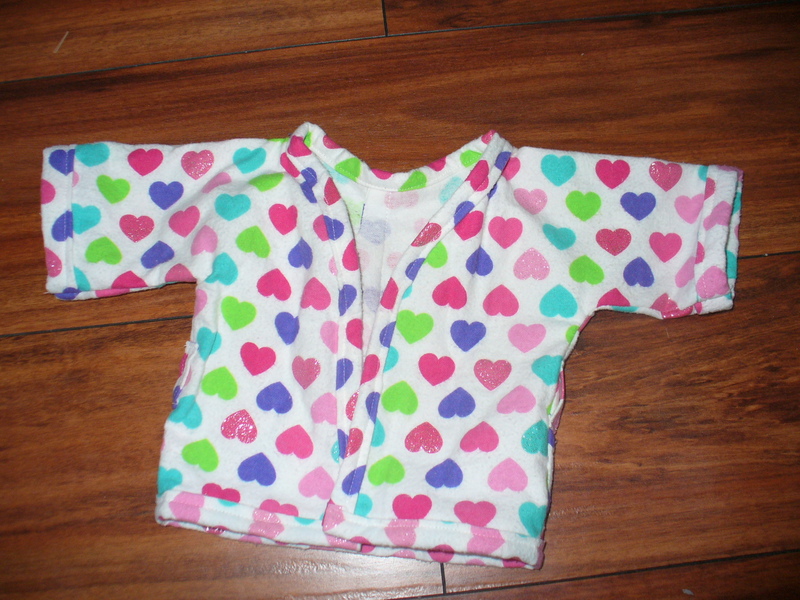 That would be because I have been working hard at creating a Jasmine costume for the youngest giggly girl. We finished it a bit ago (Sunday afternoon) and J is thrilled with it. All we lack for it to be completely finished is figuring out what she wants to do about shoes. This single skirt is the only “Make It Work” work I got done. But I am thrilled with it because I have been missing this skirt. For months! The elastic died in the waist band and so it got set in the mending pile. That pile got packed away for a short time. Then, I got the skirt out, cut the dead elastic out, and other things came up. So, the skirt just sat. I decided that I was going to fix it because I wanted to wear it again before it got cool/cold. So, I did it. And, my skirt fits lovely again. 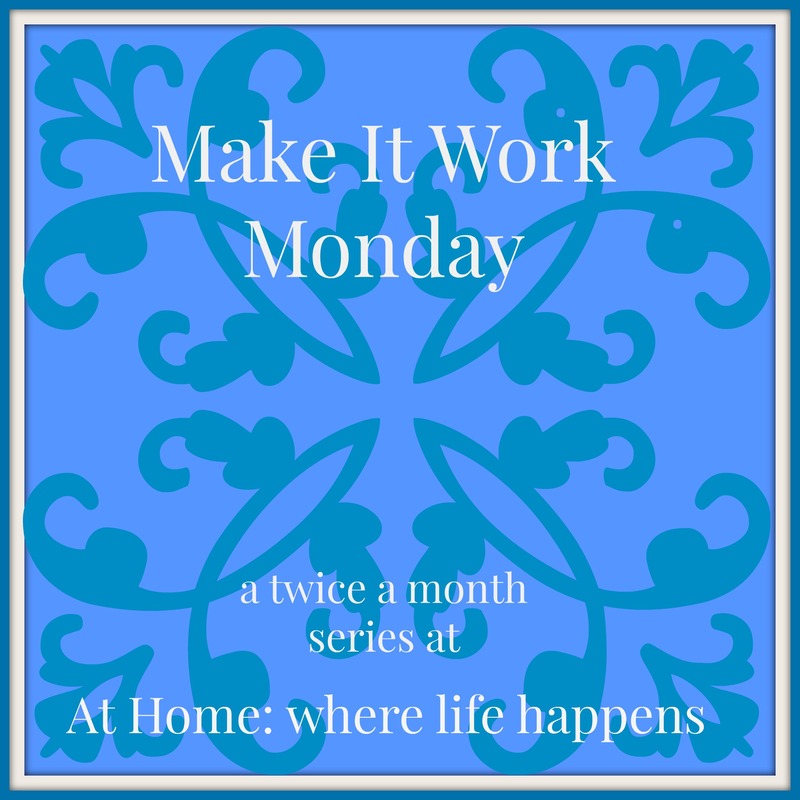 What have you worked on lately to “Make It Work?” Please share links to anything you have made work lately and I’ll go check out your post. 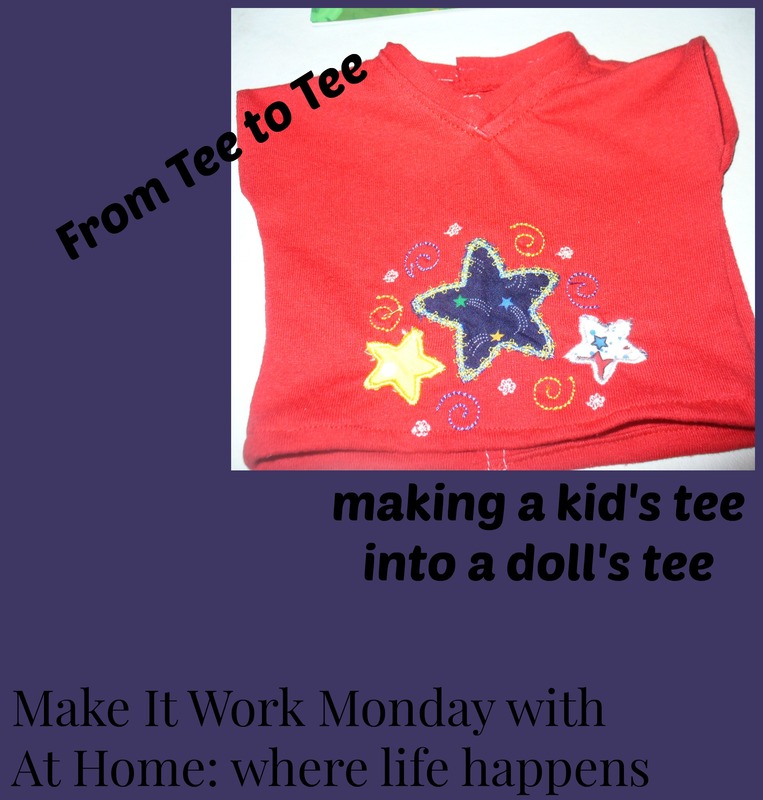 Thanks for checking out this week’s “Make It Work Monday” post. At Home. I am a saver. I save WAY too many things in case I might need them later. 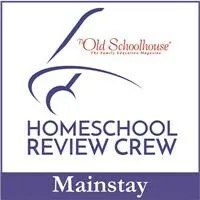 I am working on that particular issue and doing better. Sometimes, though, that saving tendency comes in helpful. 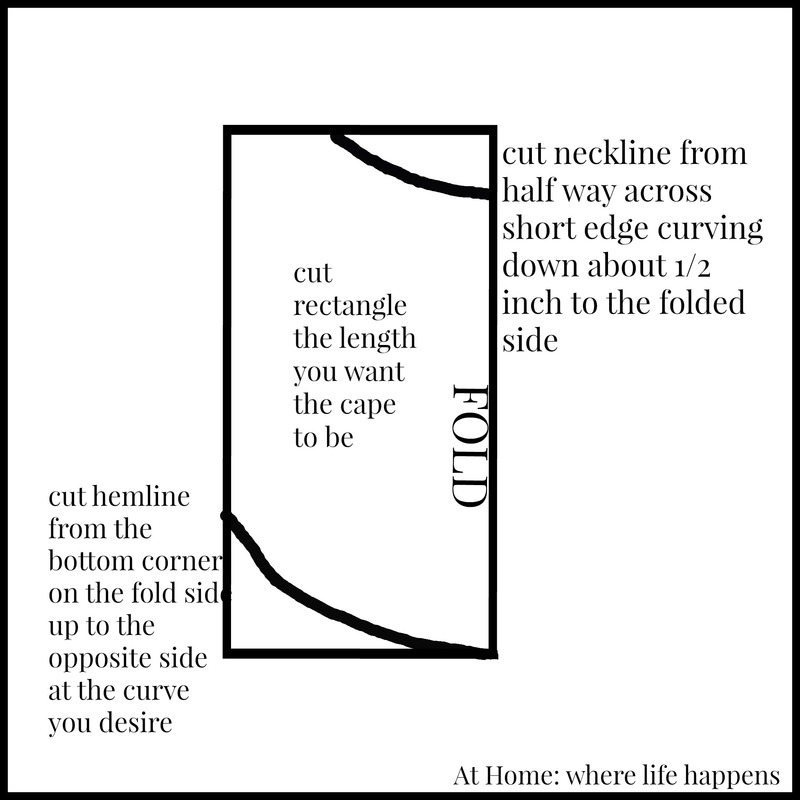 To make capes, for example. 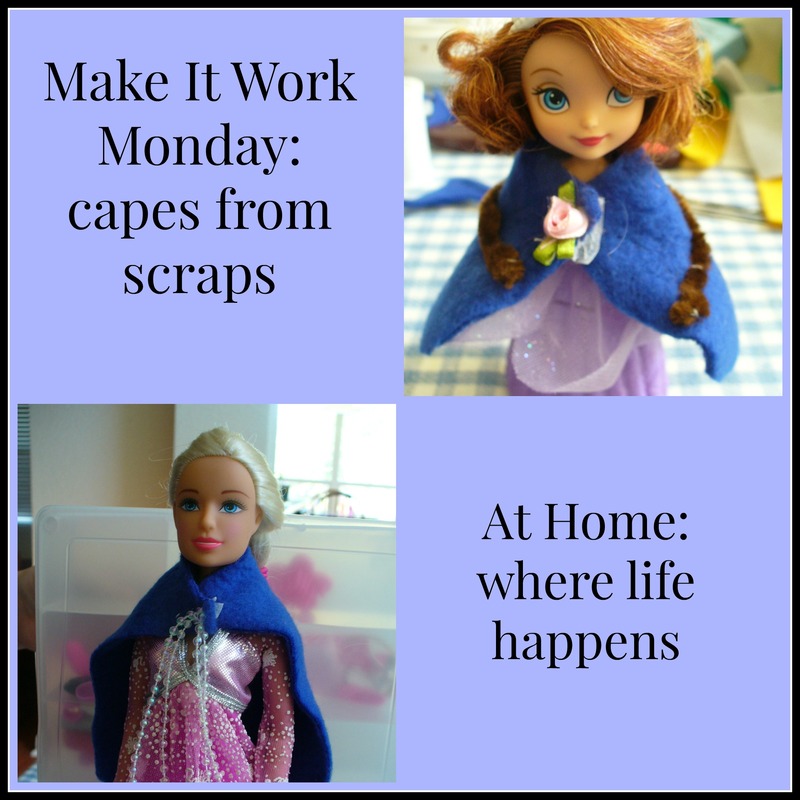 E and J wanted to make capes for their dolls. 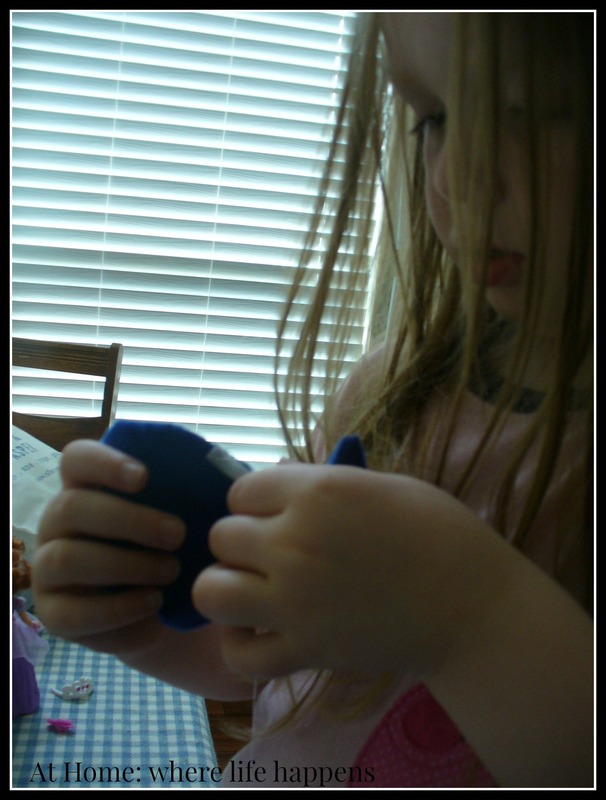 We didn’t want to get the sewing machine out and J is a bit too new to sewing to work with doll sized clothes on the sewing machine. (If you haven’t ever done that, it takes some serious finesse!) 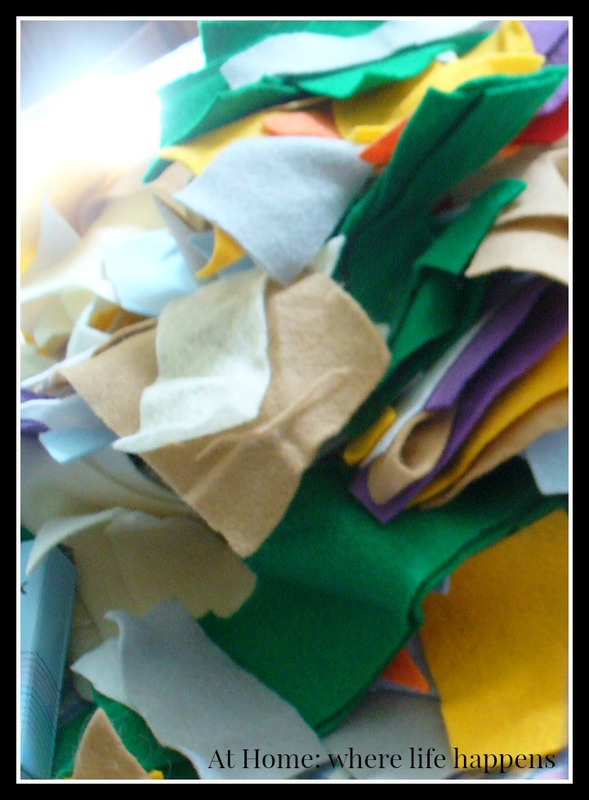 So, we pulled out the bag of felt scraps. Felt is excellent for this type of activity. 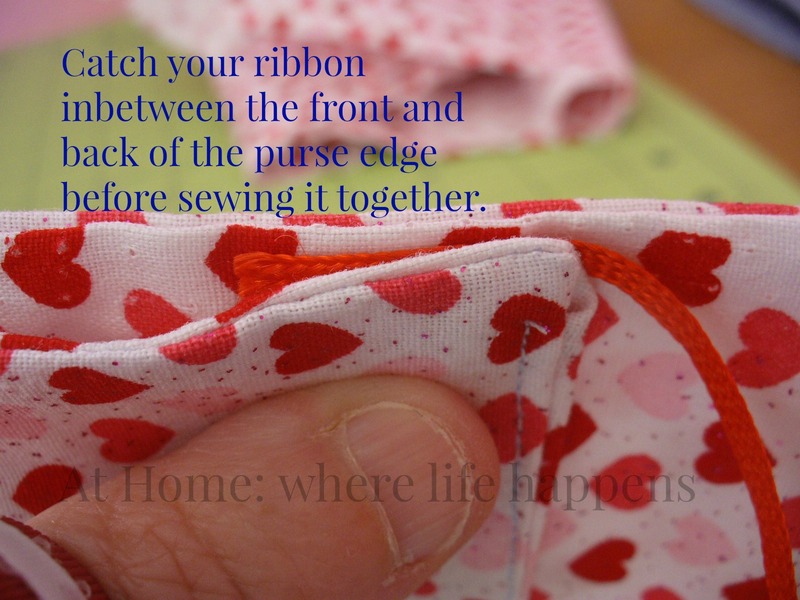 It doesn’t unravel so it doesn’t have to be hemmed. 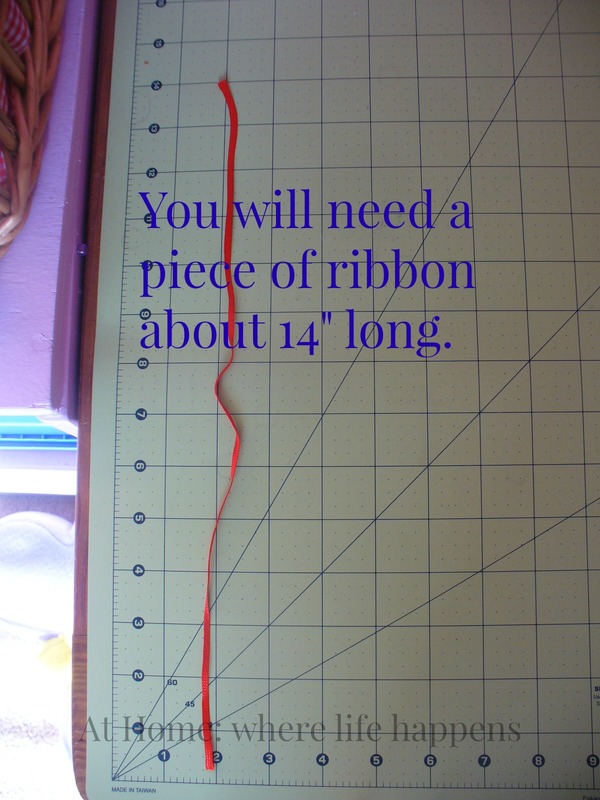 You can hem it but you don’t have to. 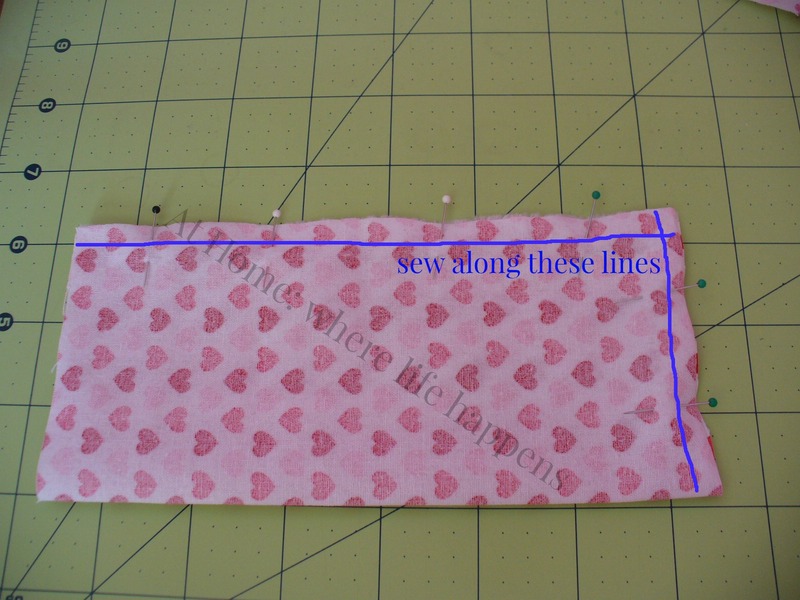 It is fairly easy to cut, especially if you have sharp scissors. 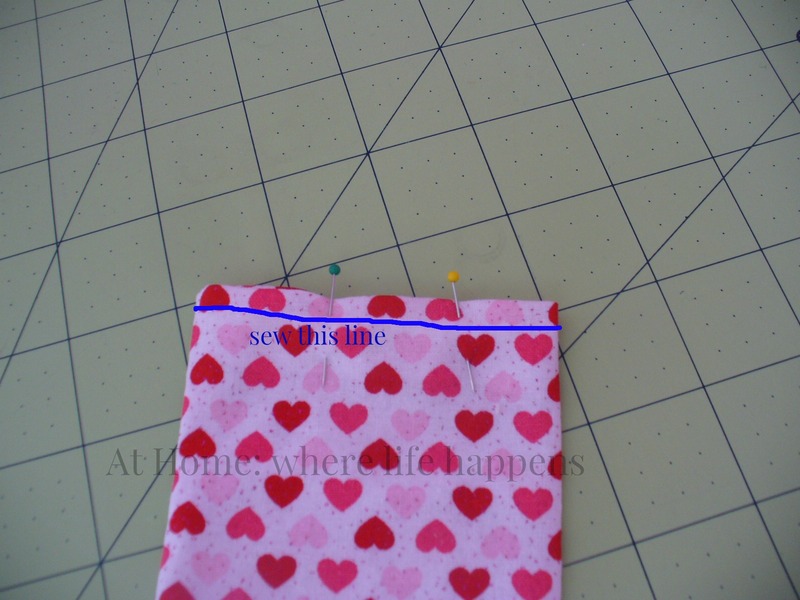 It is easy to hand sew on. 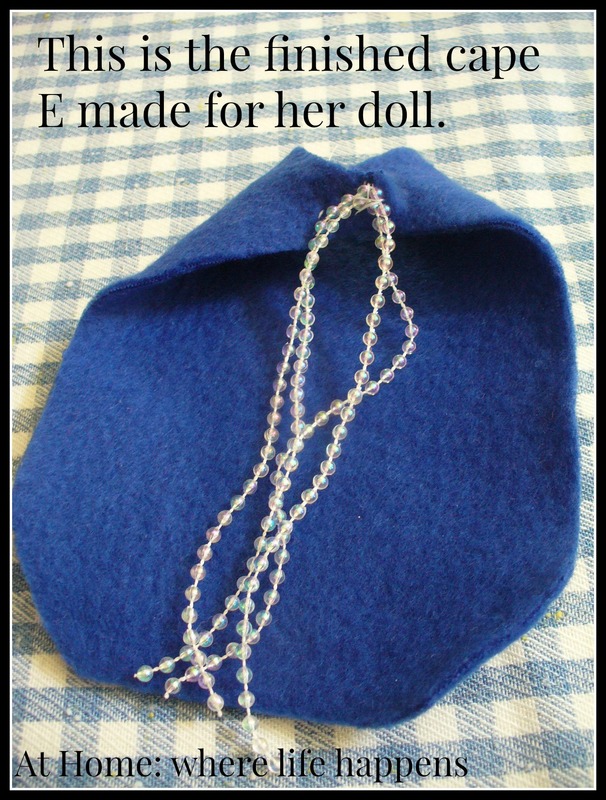 All good reasons to have this project be done with felt. So, the girls both picked a pretty dark blue felt to create their capes out of. 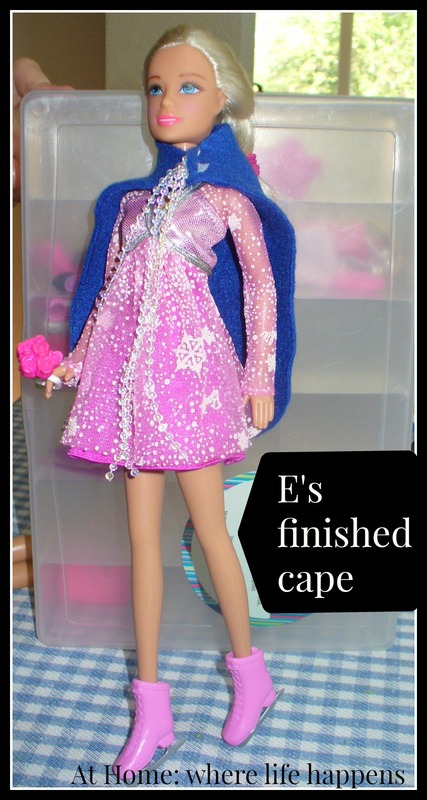 To decide how wide the fabric needed to be cut, they wrapped the cape around their doll and decided how full the cape should be. This determined the short edge of the rectangle. Then, they each decided how long they wanted their capes to be. This determined the length of the long edge of the rectangle. We cut a rectangle out of felt the length they wanted. We then folded it in half lengthwise. We cut the bottom edge (short one) in a quarter-circle. 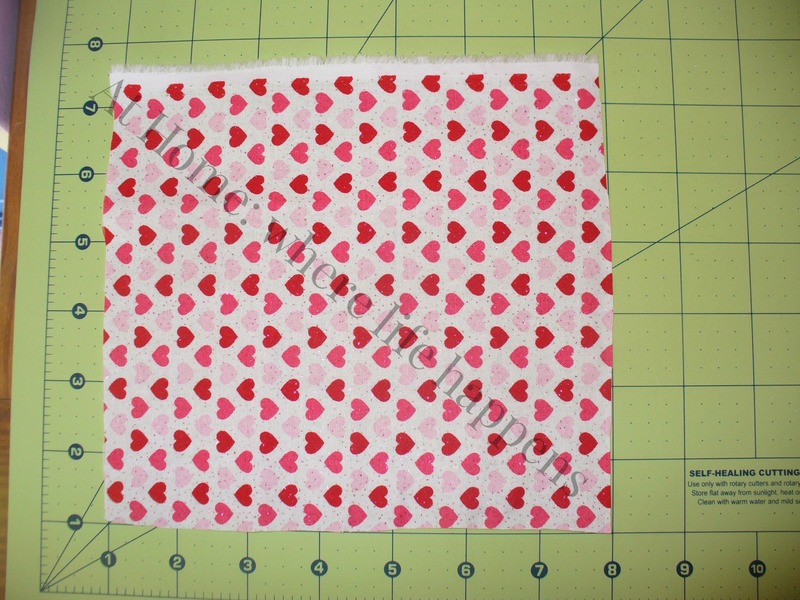 We also cut the other short edge in a quarter-circle but only off of one corner. 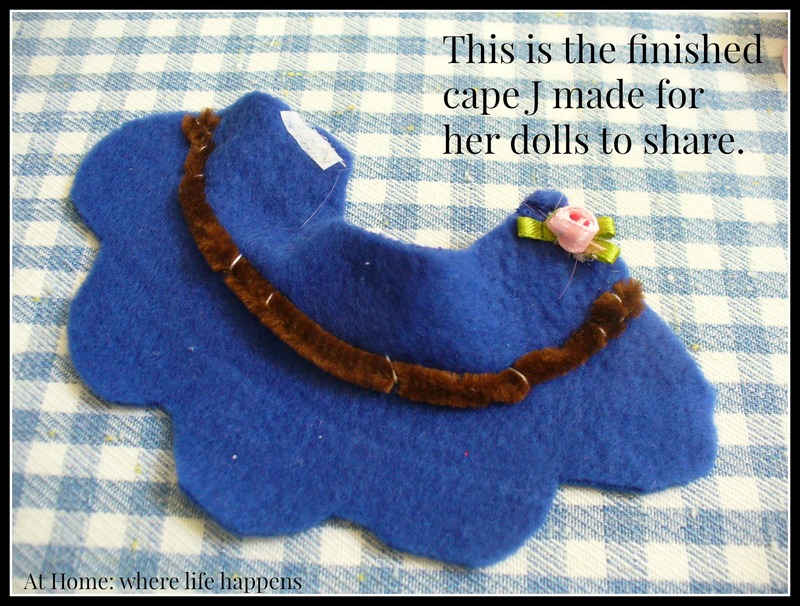 The cape J chose to make follows a slightly different bottom curve because she was designing it based on an existing piece of doll clothes and she wanted it to have a scalloped bottom edge. 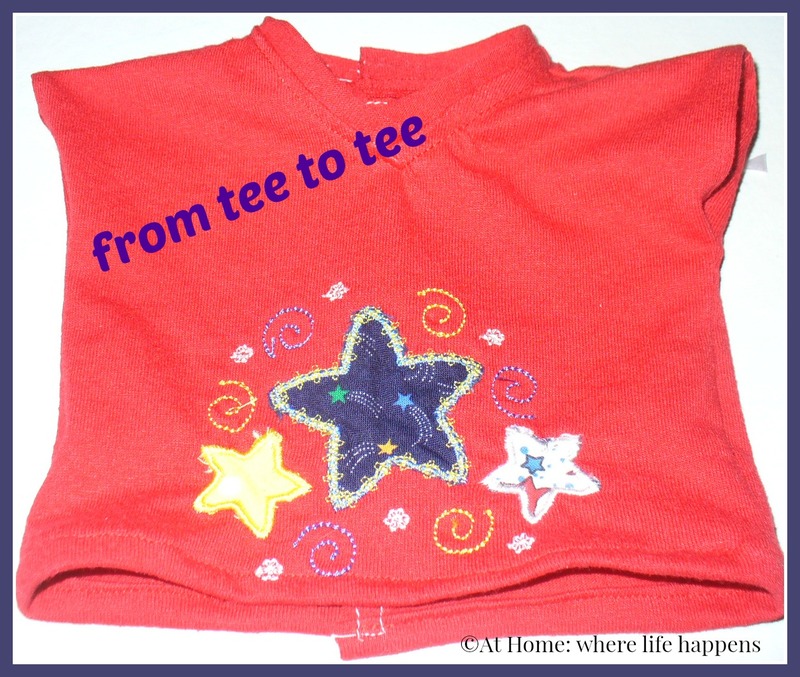 It was a bit trickier to cut so after, she cut the cape a bit longer than she wanted following the instructions here, I cut a scalloped edge on it for her. 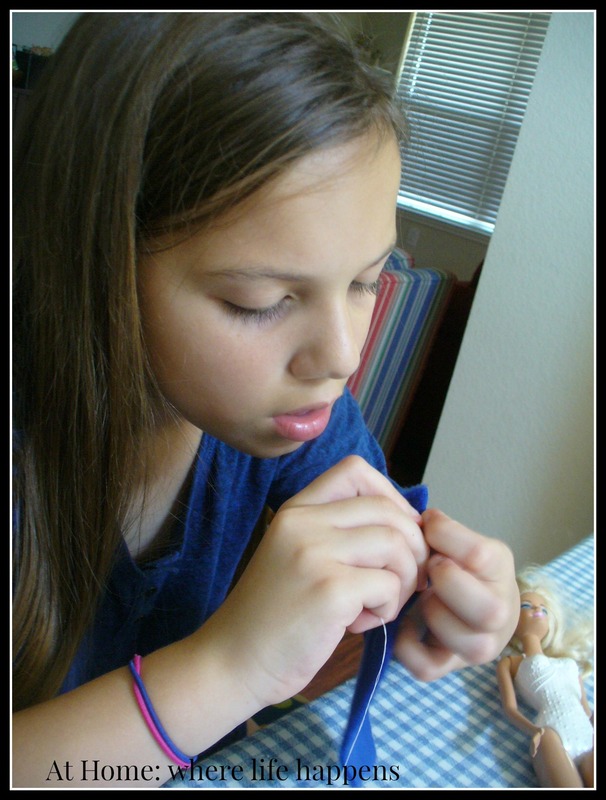 After getting the felt cut to the right length and curves for each doll, the girls cut and sewed on small pieces of Velcro at the neckline. After teaching them how to thread needles (or reminding, in E’s case) and tying knots in the end of the thread, they sewed it on. After they got the Velcro sewed down tight (it needs to be tight because it will take a lot of use from little hands), they rummaged through the trim bag that I have and picked some things to trim their capes with. Hand sewing trim takes different techniques depending on what kind of trim you are working with so each girl got a couple of different kinds of instruction. Then they went to work sewing down the trim. 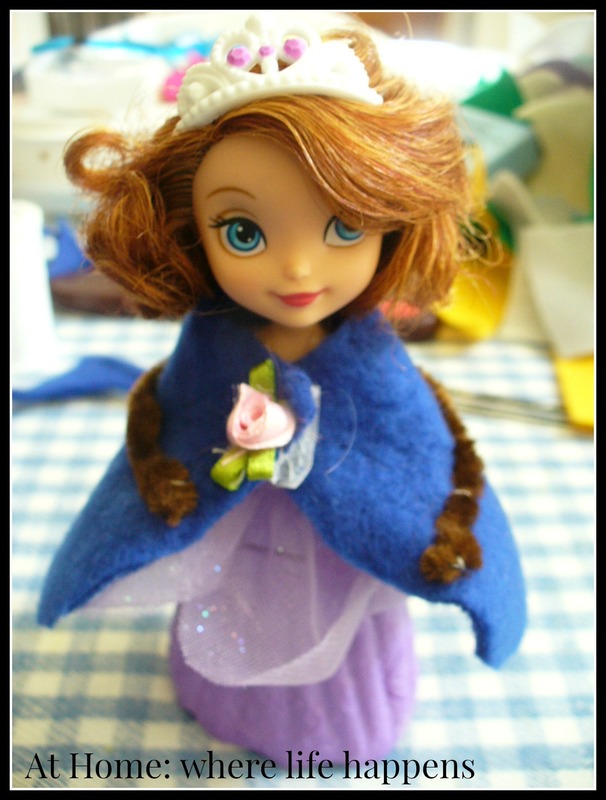 After a short while, their capes were finished and ready to be modeled by the dolls. So, here are the finished capes. And here are the dolls modeling the new fashions. 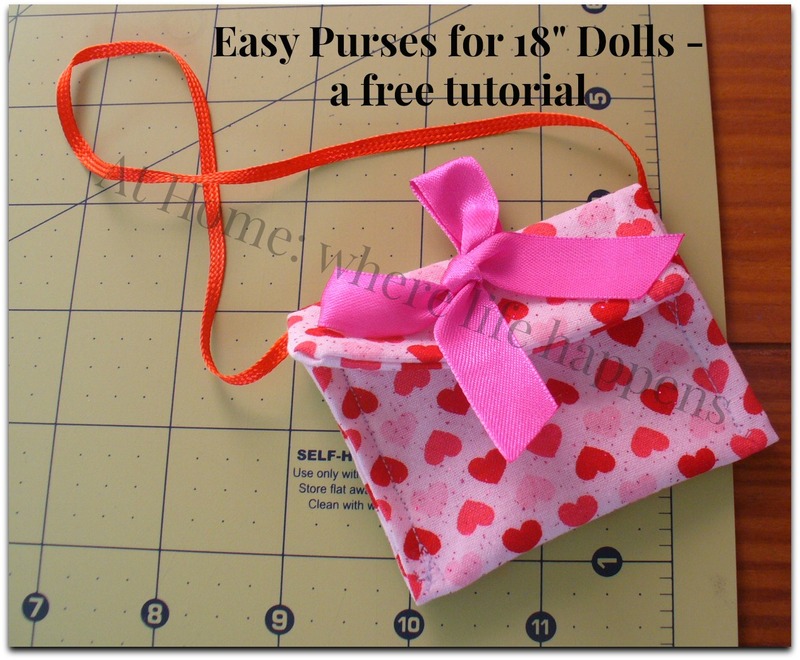 Another fun sewing lesson, making use of things we already had around the house. What have you done recently to make something work? 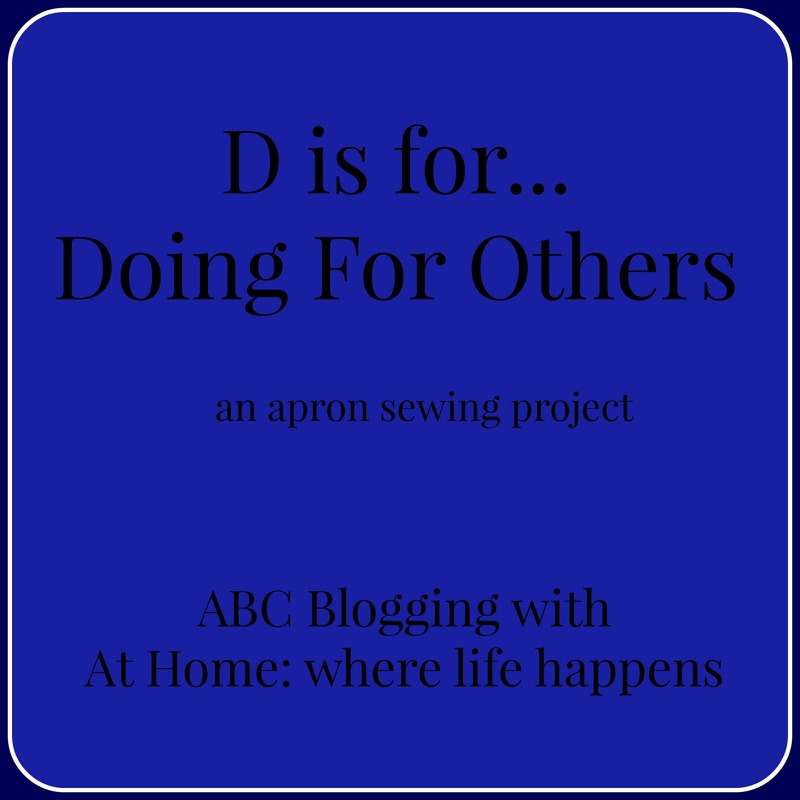 Please share your activities in the comments section and if you have a blog post or other link to pictures of it, please share that too. I’d love to visit your site to see what you have done! At Home. 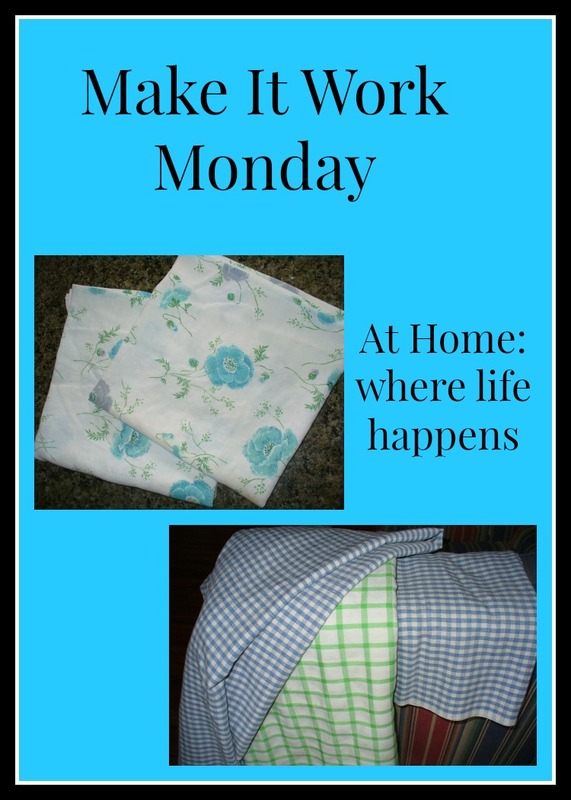 This weeks Make It Work Monday is all about kitchen linens. 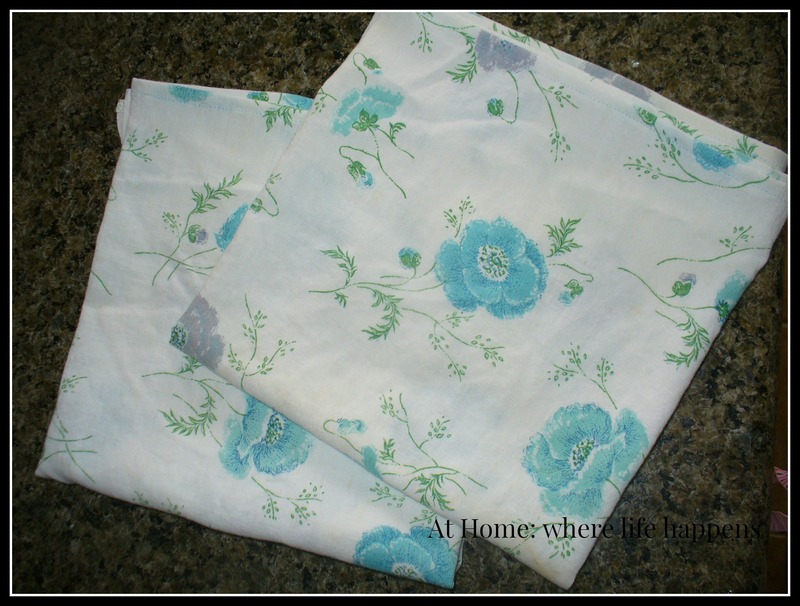 I used cloth that I had around to make two dish towels and three table cloths. 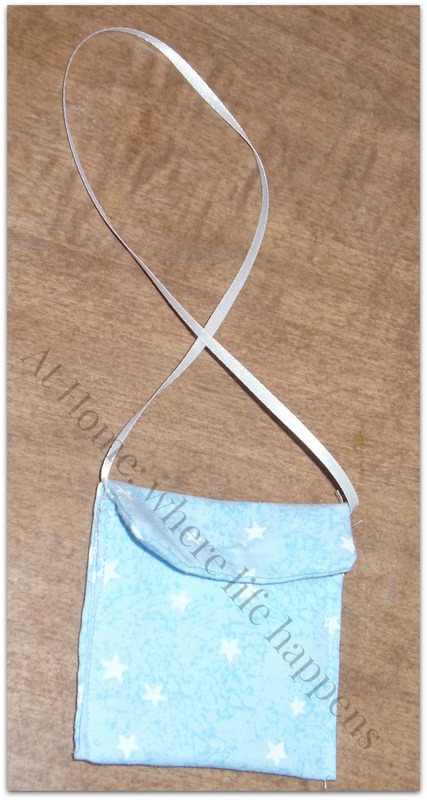 The dish towels were a perfect weight and absorbency but slightly stained piece of fabric. I really wished I could make them for a gift because the flowers were so pretty. However, with the slight staining on the fabric, I couldn’t gift these. So, I made them into lovely towels for our family. We don’t get new ones very often so this was kind of fun and they sure do brighten my day when I pull them out. 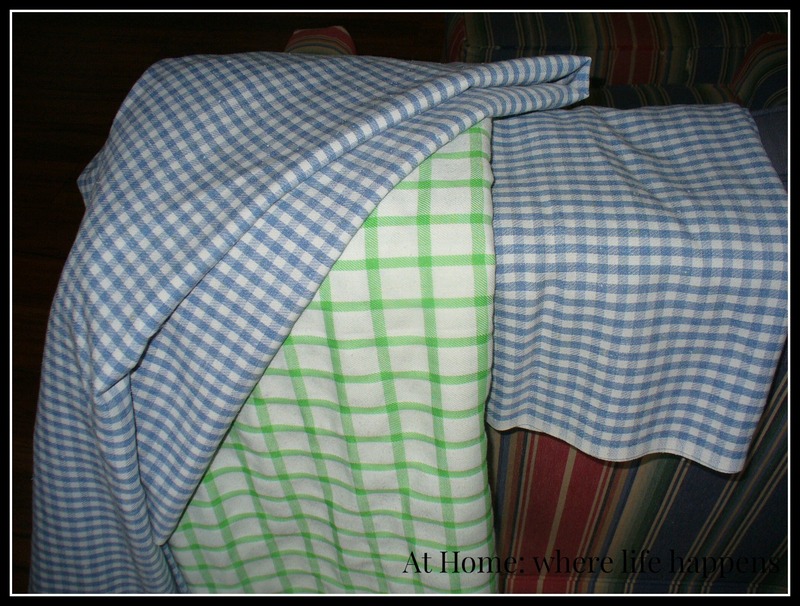 I also used two big pieces of fabric for table cloths. 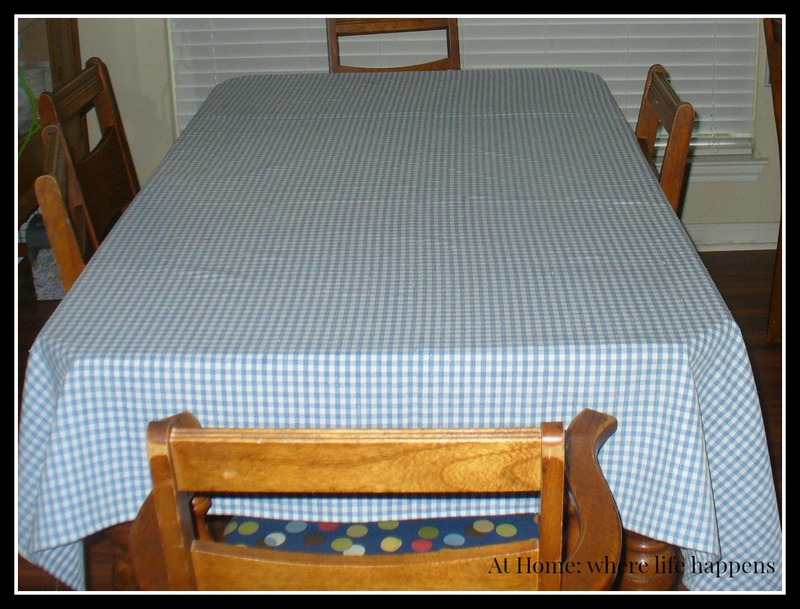 I measured the blue checked cloth against our table and realized that it was big enough to make two table cloths. So, I cut it and hemmed the raw edges that would fray. It worked great and is the perfect weight for a table cloth. Since I didn’t really need two of the exact same table cloth, I gave one to my mother-in-law, who is just awesome. I loved being able to give her something just because that I knew she would like and get a lot of use from. 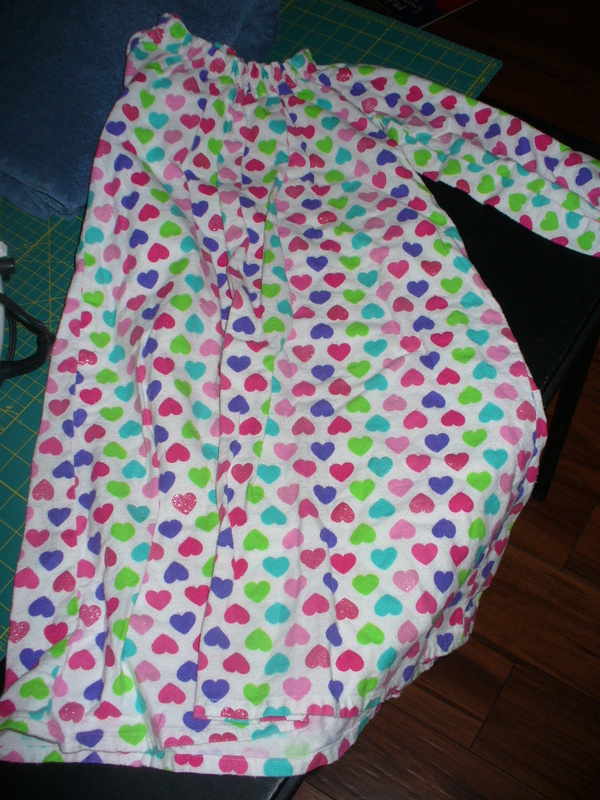 The other one had some stains on it but is just such a bright cheerful green checked piece. It makes me smile because of the cheeriness of the color. It is a bit long for the table as we normally have it but I’ll just tuck the ends under and then when we need a cloth for the table with all of the leaves in, this one will work. So, three table cloths and two dish towels were made from fabric that was just sitting around. 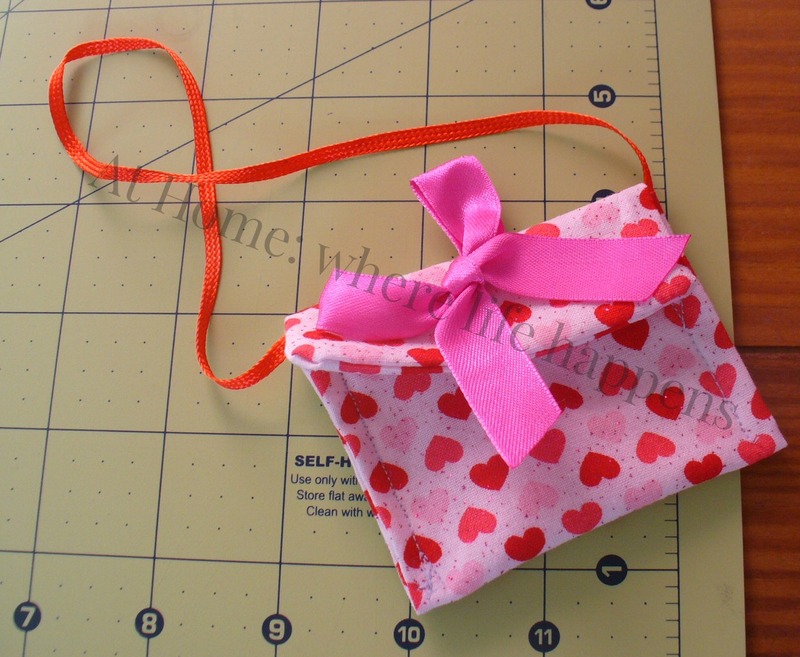 Useful items have now been made and they make me smile each time I get to use them. What have you repurposed, remade, or reused recently? I would love to know. Please leave a comment to let me know what you have done and if you have done a blog post about it, leave the link and I’ll check out your post.